Please inform us about your wishes and request data. You will get a response by email as soon as possible. Note: You can revoke your consent at any time for the future by e-mail to info@inselnest-lindau.de. 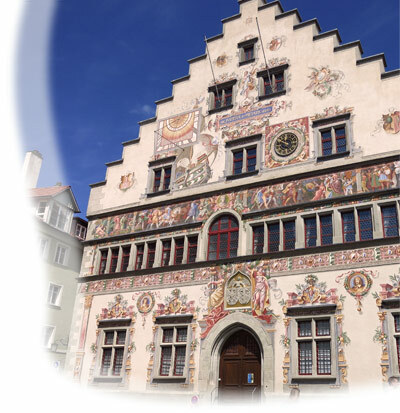 This splendid gothic town hall with its lovely wall frescoes was built in the 15th century. Located at the Reichsplatz, it is just a few minutes away.